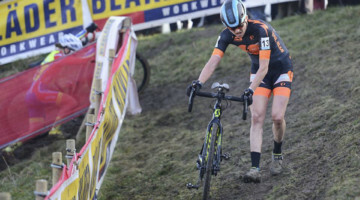 In his last rider diary, Michael van den Ham (Red Truck/Garneau p/b Easton), found the positive when faced with early-race difficulty at Superprestige Gavere. This week, van den Ham experiences the other end of the spectrum, early race success followed by a tinge of regret at the end of the race. 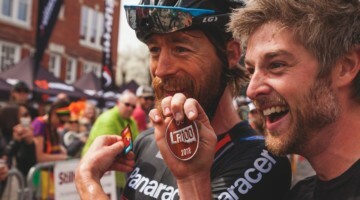 See what van den Ham has to say about his experience at the Koksijde World Cup. There is sand. Lots of it. When we think of sand in North America, we think of just muscling our way through a volleyball court. I don’t know how to explain the sand here other than say that if you take that volleyball court, triple it in size, add another foot of sand, put in some elevation, and then do it five or six times per lap, you are starting to get an idea of what Koksijde is like. And that’s before you consider the big muddy bogs in between those sand pits. The sand is a cruel mistress. The second you start letting it get to you, it’s over. To ride it well you need to be relaxed, powerful, and confident but once those abilities are lost, the sand eats you up. 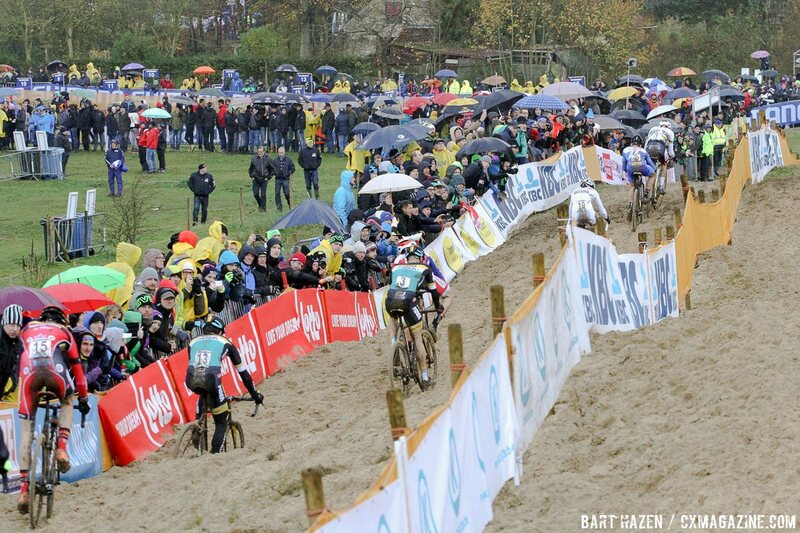 This all adds up to make Koksijde an emotional race. One lap, you clear a sand section with ease and are on top of the world. You being to imagine yourself as the next Sven Nys. One minute with a seemingly pathetic crash later and you’ve fallen back to earth. Frustrated and tired you begin to wonder; why did I think this sport was a good idea again? With all that in mind my race actually went quite well. 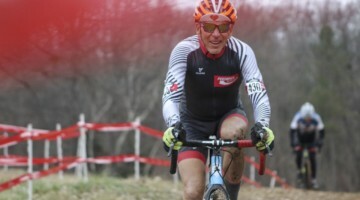 After a slow start, I found my rhythm sometime around the third lap. Despite all my premonitions about the race in the week prior, I was actually beginning to enjoy myself. In a clever, or perhaps desperate, attempt to gain some more support I had stopped atop one of the dunes during pre-ride and yelled, pleaded, “Will you cheer for me?” Maybe I looked just desperate enough, but they wholeheartedly agreed to support my back-pack battles. Buoyed by there support, I moved my way past one rider and then another and then another until I was sitting around 40th place. Was a 300 Euro payday in the cards for me? (Note: 300 Euro is the prize money for 40th, zero Euro is the prize for 41st). Not today. With four laps left in the race I made a silly mistake and crashed into the mud. The crash itself wasn’t so terrible, but the timing was less than ideal. Sven Nys and Wout van Aert had been breathing down our neck for a while already and our getting pulled was imminent. 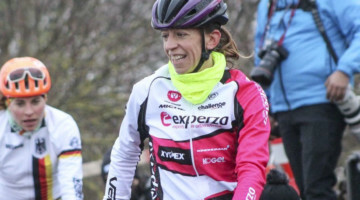 A clean lap would have meant one more lap on course, a crash meant that this may be my last. I tried as hard as I could to catch the group in front of me. I clawed them closer, but not close enough. As I watched the group 20 meters ahead of me roll onto the pavement to race one more lap, the race officials waved me off the course and told me my race was over. So close, but so far. At the end of the day, after the stinging cold and equally stinging disappointment had faded, I’m satisfied with my race. As I said before, Koksijde is a unique beast and to end the day in 42nd, three-laps down, is something I can be happy with and, to be completely honest, a fair bit better than I had expected I would do only a few days prior.